BOONE, Iowa (Reuters) - Monsanto Co's digital agriculture platform should begin generating revenue for the seed and chemical company by 2020 as paid subscriptions for data-driven farm management and planting advice services expand, a top executive told Reuters. Revenues from the Climate Corporation business, acquired in 2013 for nearly $1 billion, are expected to be in the hundreds of millions of dollars by then, Robb Fraley, Monsanto's chief technology officer said in an interview at the Farm Progress industry show. "By the turn of the decade it will be a clear cash generator for the business," Fraley said, noting it will still be a fraction of Monsanto's total sales. Monsanto's high-stakes push into digital agriculture hit a hurdle on Wednesday, when the U.S. Justice Department filed a lawsuit aimed at stopping Deere & Co from buying Monsanto's Precision Planting farm equipment business. The agency said in its lawsuit the deal could make it more expensive for farmers to use precise planting technology. Mike Stern, chief executive of Climate Corporation, told Reuters on Wednesday the sale would benefit farmers. Stern also said Climate and Deere are moving forward with plans to allow nearly real-time data connections between certain John Deere farm equipment and Climate's farming software programs, Climate FieldView. 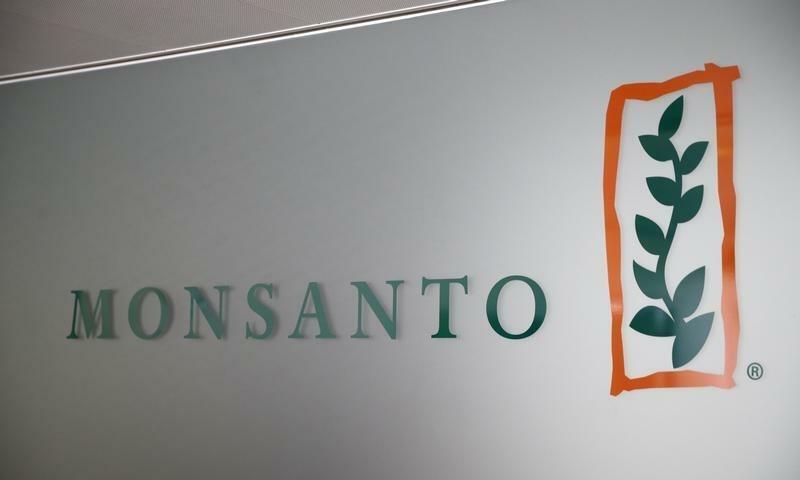 Monsanto's Climate acquisition, and the high price it paid for the San Francisco-based weather data analytics firm, ignited intense industry interest in agriculture technology businesses. Numerous competitors and non-farm investors jumped into the space, aimed at helping farmers grow bigger crops more efficiently using data analytics, drones and other high tech tools. But a steep downturn in farm incomes has cooled agrarian demand for the unproven technologies. It is also taking Monsanto longer to turn a profit: At the time of the Climate acquisition, officials told Reuters they expected it to boost Monsanto's earnings within two years. Monsanto's business model for Climate, too, has shifted since the acquisition and transformed the seed company to some degree, Fraley said. "We're utilizing the Climate tools in our (internal) breeding program, in our manufacturing programs for seed production and in the customer interface. Truly, the digital tools are changing the way the company does its research and develops its products," Fraley said. Climate's Field View platform is being used on nearly 100 million U.S. farm acres today, with about 15 million acres in its premium paid services. Monsanto projects paid acres will reach up to 400 million by 2025.